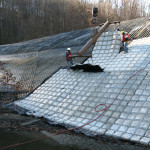 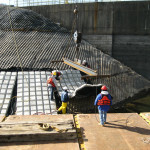 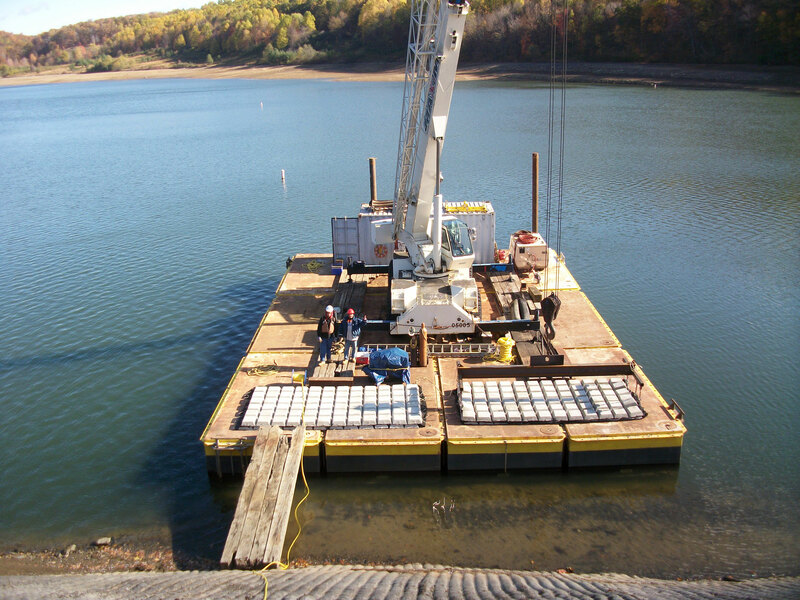 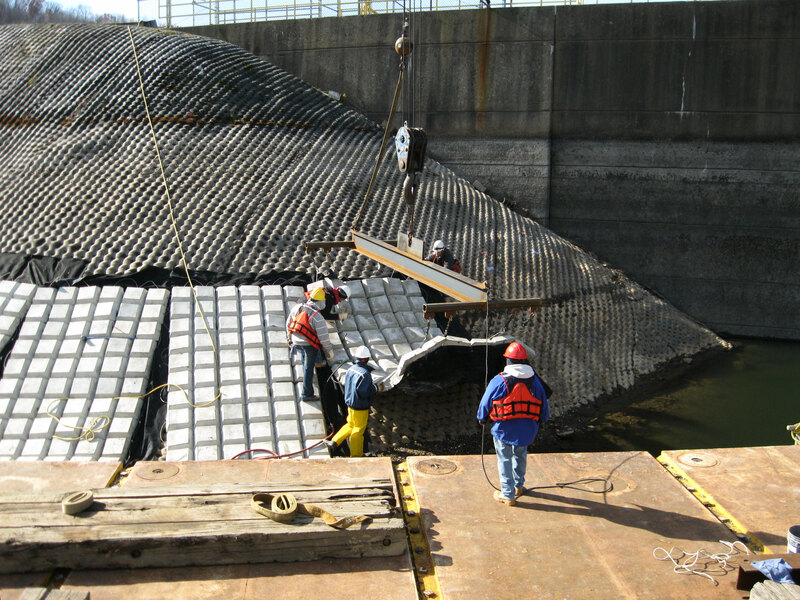 Crofton Industries was awarded the contract to perform mechanical and structural rehabilitation operations at several locations on the dam spillway, access bridge, and inlet works. 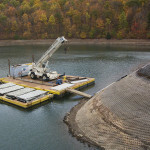 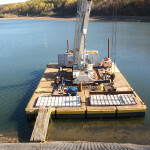 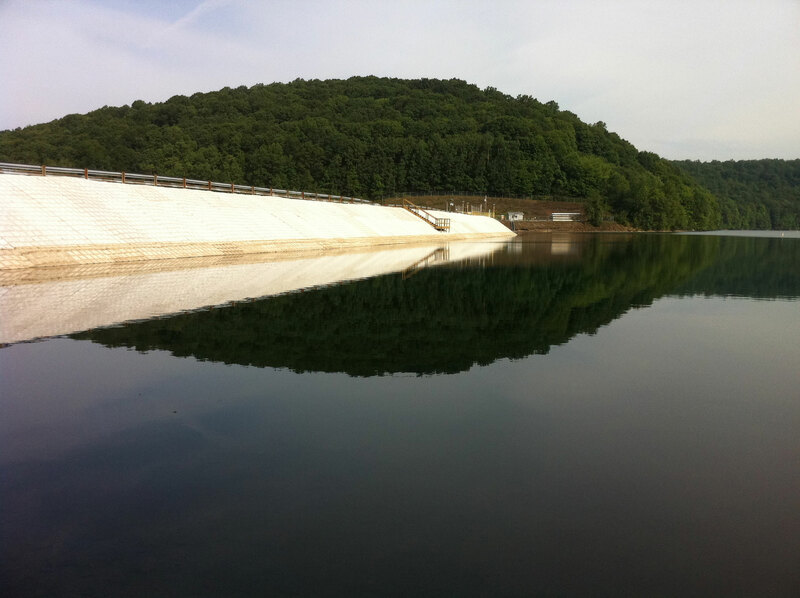 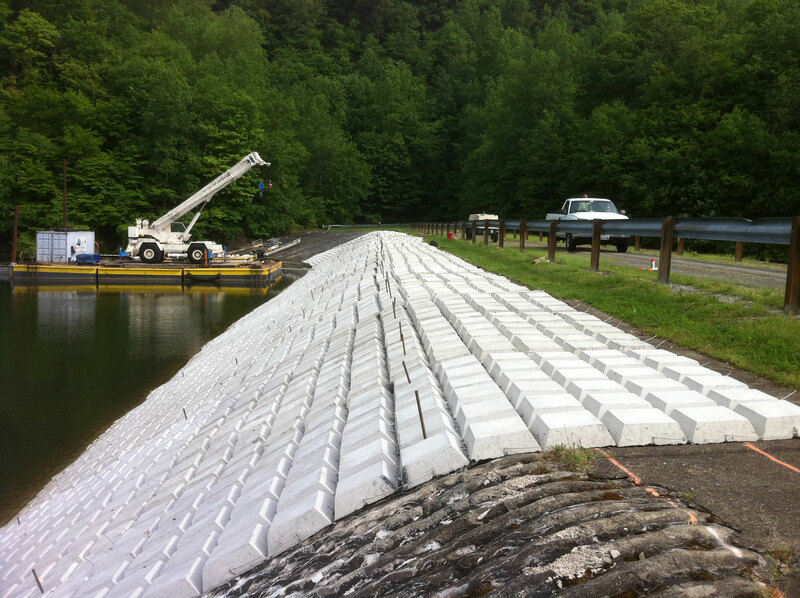 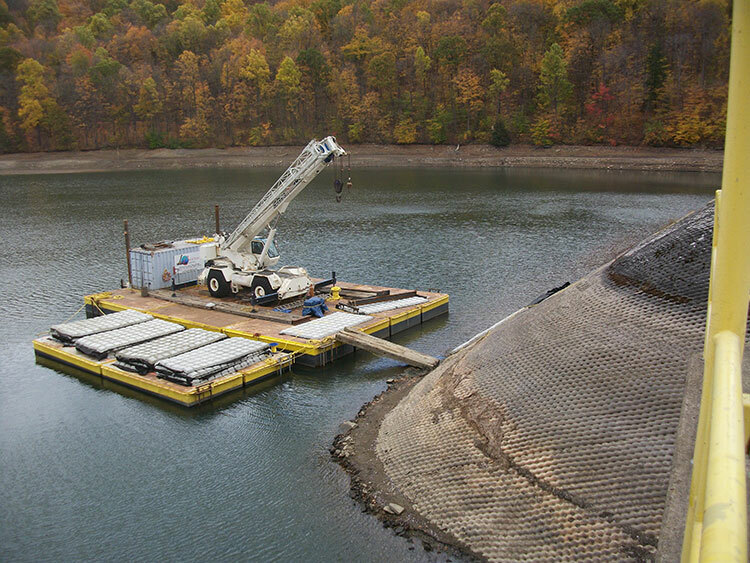 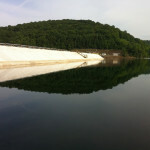 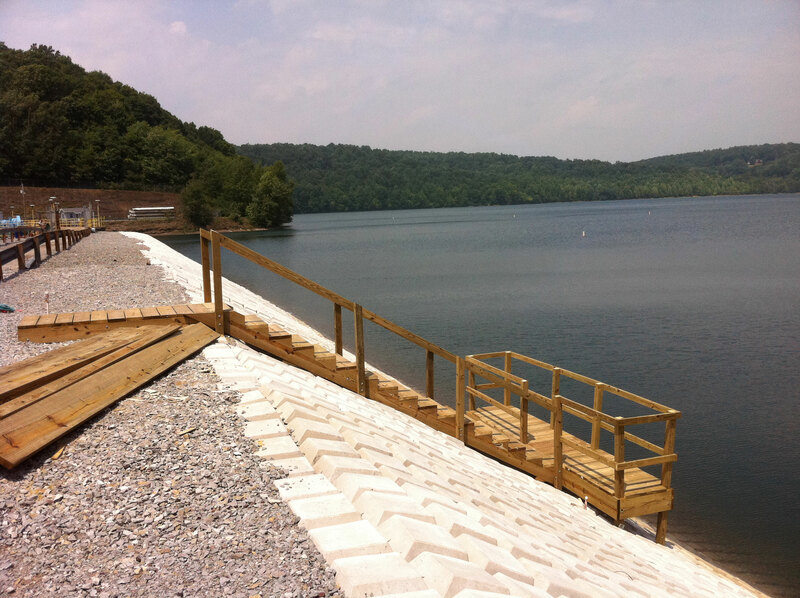 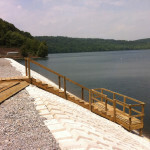 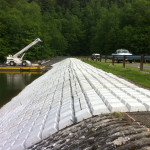 Additional work included the restoration of the earthen embankment through the installation of 760 linear feet of articulating concrete matting along the upstream face of the earthen embankment portion of the dam. 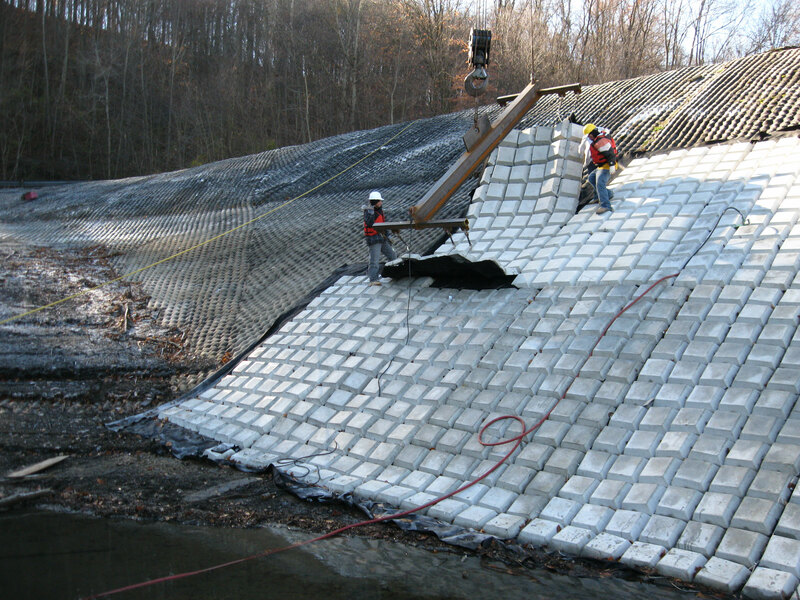 Rehabilitation tasks included repairing access bridge bearing, repairing concrete deck edges on access bridge, installing two stainless steel slip-lines pipes within the inlet works system, installing stainless steel erosion plates to protect and increase the life of existing interior concrete surfaces within the inlet works, and installing 8'x16' articulating concrete mats along 760' of upriver embankment.